Just put some new stilettos on my leaf today, and I gotta say wow it's an improvement from oem hubcaps. The aluminum wheels I got come out overall with tires 2.5 lbs lighter per wheel with a 1 inch bigger and wider wheel. It's now sitting on 225/45r17's with a 17x7.5 positive 40 offset. Great look. 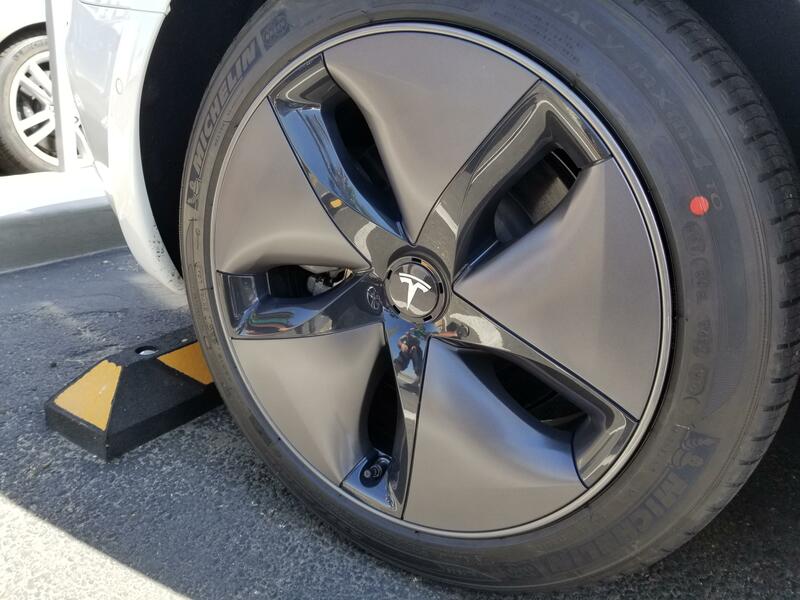 Since seeing the Model 3 in person with aero wheels I always wanted to see them on another EV; Bolt, Leaf, or even some very green looking hybrids like the Prius. Your setup really suits the car imo, solid choice. Weight reduction is a great way to go about maximizing the Leaf's capability. A lot of people are initially surprised at just how quick the new Leaf can be off the line. what i like most about it is the extra amount of JDM character those wheels give the Leaf, but at the same time it looks a bit dated, a different era of the automotive world. The new wheels look great, and happy to hear that they are yielding such noticeable improvements to your range. The blue lugnuts are a nice touch. Just out of curiosity, I wanted to know the limits on tires and wheels that could be placed on the leaf. So I decided to take my 05 G35 wheels since they have the same bore and lug nut pattern and put them on to see if they would fit. The clearance was not an issue as I turned the front wheels from left to right but that is with stock height. Lowering would definetly cause issues of rubbing. These wheels will not be staying on the car but will be getting similar ones in the future. Just wanted to share this info with everyone looking for a wheel upgrade. Those G35 wheels are classic. Seen them on everything from a BMW 3-Series to Lexus GS300's. Aren't they made by Volk?